This charcoal sparkle flies with the stars in the skies. Kick off the weekend with this pop! of bubblegum pink. I drove for miles just to find this silver-rainbow glitter. 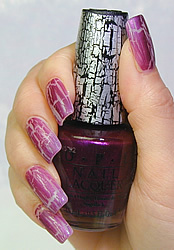 To see and read more about shatter colours, please click here.